Body shop recommendation in Vancouver/North Van? 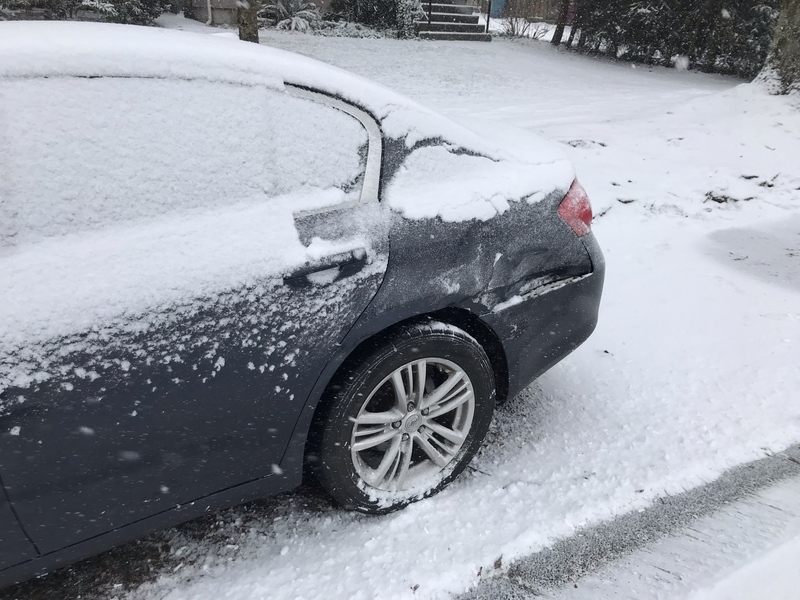 Wifes car just got in by some guy driving too fast in the "blizzard" side swiped her car rear panel and bumper.. need to get it in and fixed asap..
any recommendations for a body shop in Vancouver or North Van? Do people just typically use whoever ICBC recommends? Have had good experiences with Miami Autobody on Boundary/1st. I used AK Autoworks at the recommendation of folks here earlier this year and was happy with the work. Good colour matching, the work was very complete, and there was good communication. It's right by Boundary/1st. I'm in the same boat! Need a body shop reco. North Shore or Vancouver ideally. I second A Jetway. Good for ICBC and great for Cash deal rates. Last edited by Dragon-88; 02-13-2019 at 01:55 PM. I have had great experiences with Pender autobody in Vancouver. Did amazing job with my Silvia front bumper which is Pearl white. Very hard colour to match. No runs or orange peeling at all. So this stupid accident ended up costing $6700 to repair..
Shout out to KP autobody on Venables though, great experience start to finish and the work done was excellent. They took the time to let me look at it both in the shop under good light as well as outside in natural light. Full detail job inside and out and the car looks good as new.